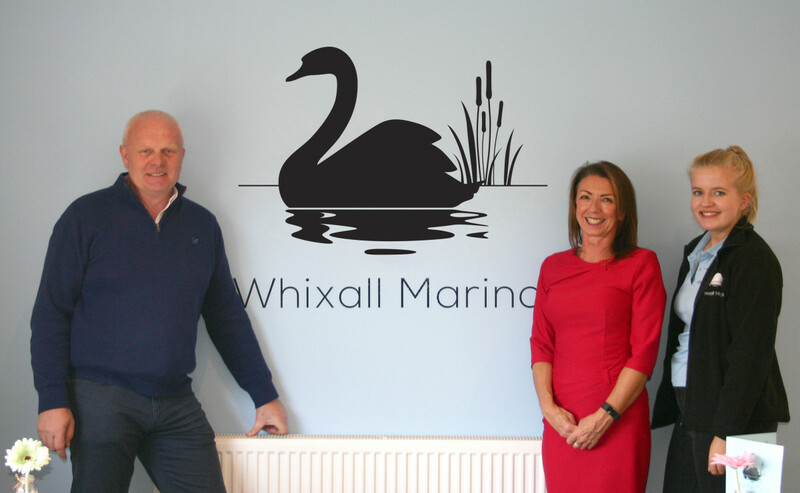 Whixall Marina’s long-term resident ‘Sid’, a mute swan, has taken centre-stage on a new logo created for the marina following a major renovation of its facilities. The new identity has been created by Nick Edwards Design of Newport and is now featured across the marina’s facilities and marketing material. This includes on-site signage, café branding and menus, business cards, website and social media channels. Sid has held court at the marina for over ten years, nurturing a new brood of cygnets each year. Visiting swans looking to usurp him from his position at the marina are met with short shrift!